As soon as I met up with Rick Carpenter in front of the Raleigh Convention Center we hadn’t gotten into the building before we ran into some of Rick’s contacts. 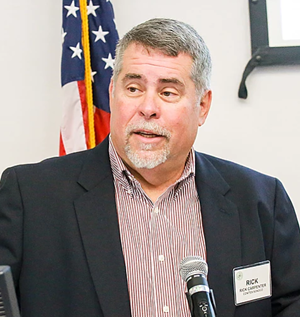 Rick has been with the company for nearly 20 years and is Regional Sales Manager for Conitex Sonoco’s Converted Products. He’s clearly made a lot of friends in the textile industry along the way because I’m fairly certain we met with half of the attendees throughout the day. We set up base camp in the Southern Textile Association booth since Rick is 2nd Vice President. While there, I signed up to become a member after discovering that they meet to discuss relevant topics such as the global economy, technology and innovation as well as the general state of the textile market. They meet in Belmont, Raleigh and other locations in the South with guest speakers, facility tours and great food. The overall atmosphere I gathered from those exhibiting and attending the show was excitement and optimism for the new innovations surrounding US textiles as well as a great sense of pride for the current state of the American textile industry. We saw an array of synthetic yarns used in different and unique applications that varied from sports apparel to fire-retardant material. Unifi made a lot of noise at TechTextil with their REPREVE® brand recycled performance fiber which is used to make sustainable textiles with wicking, odor control and water resistance. 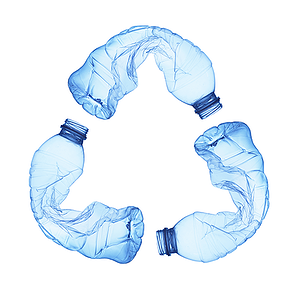 REPREVE® is a polymer yarn that is made from recycled material such as soda bottles and other polyester fibers. There was keen interest around this product for it’s unique selling point and environmental appeal as well as the potential for use as a green initiative in textiles. Overall, the show was an amazing introduction into the world of textile innovation and everyone who is anyone in the field of nonwovens was there. It seems to be an exciting time for textiles in the USA and I’m excited to be a part of it all. I cannot wait to see what the future holds and I look forward to attending the show next year in Atlanta at the World Congress Center for Techtextil North America and Texprocess Americas 2020. Austin Duncan is North American Sales Representative for Conitex Sonoco's Converted Products. 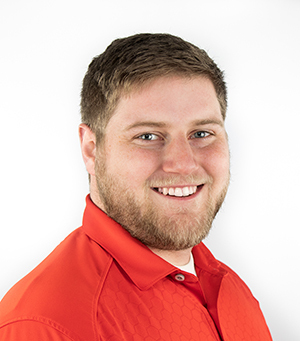 Austin holds a Bachelor's degree from Wingate University and was formerly Production Supervisor and eCommerce Product Manager, Sales for a bedding and furniture manufacturer in North Carolina. Austin is responsible for Conitex Sonoco's Textile Carrier, Corrugated Pallets and Sliver Can sales from our North American Headquarters in Gastonia, NC USA.